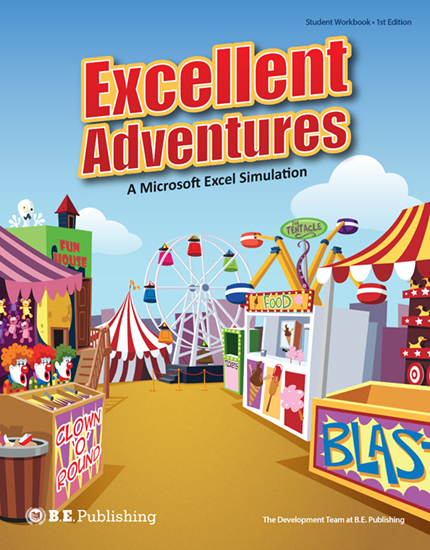 Amusement park thrills using Microsoft Excel skills! 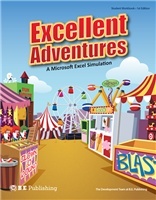 In this exciting simulation, students produce professional spreadsheets for a new amusement park. This textbook offers a behind-the-scenes look at the power of spreadsheets as students complete a series of activities relevant to real-world business. Students will be fully engaged as they track monthly admission ticket sales, analyze average ride wait time, chart expenses, organize Twitter trends, and much more. The Online Instructor Resources for Excellent Adventures include Activity Solutions and Performance Assessments and Solutions. Performance Assessments serve as a reinforcement and allow students to demonstrate their spreadsheets skills. Assessments measure students' ability to demonstrate the spreadsheets skills in each activity.